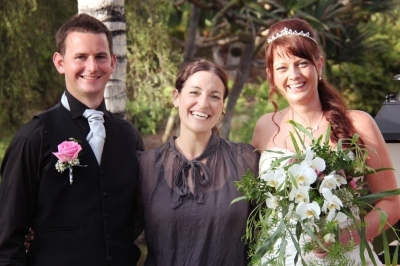 A wedding abroad is always full of special moments, even more when it is celebrated in Tenerife! 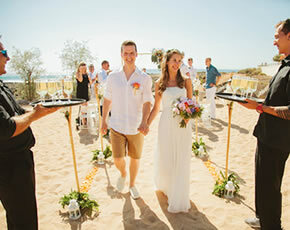 The beautiful venues and versatile landscapes are just the perfect scenery for getting married in Spain. And what a beautiful thought to say “I do” during the amazing light of Tenerife’s sunset. 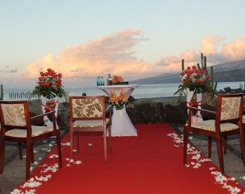 The couple chose this romantic venue for the ceremony. The groom and the couple’s twin daughters waiting for twilight to start the ceremony. Photoshoot before the wedding starts with the lovely family. Pictures say more than a 1000 words! In this case you can really feel the love and excitement of the bride and groom. 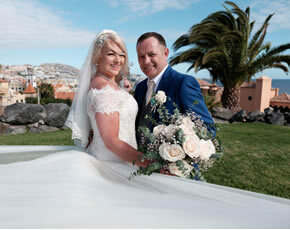 Wedding in Tenerife: Pure romance! Tenerife´s mountains are the perfect background for a photoshoot. Being a sportive couple can also be an advantage for nice wedding-shoots. The twin sisters were the flower girls at the emotional wedding ceremony. 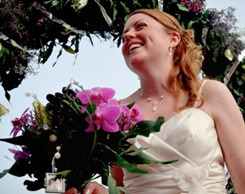 What a great decision to get married during twilight surrounded by palm trees and the scent of flowers in the air. 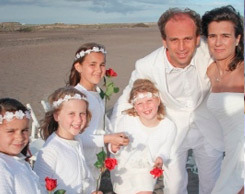 The sand tradition: The layers of the sand stand for love, strenght and the versatility of a marriage. The guitar player played the couple’s favourite romantic songs during the ceremony. Exchange of the wedding rings as a sign of eternal love! A toast to the couple and congratulations. 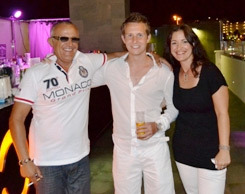 Nice photoshoot with all the family and friends. In this great venue it is easy to find many nice spots for pictures. Everyone should have a memory with the bridal couple. 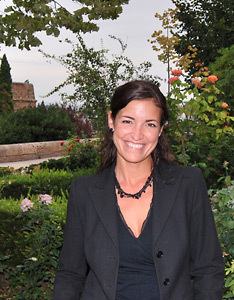 Nadine García Breuer from My perfect wedding keeps the overview and even joins for a picture. Everyone is especially happy for the bride and groom. The venue’s restaurant is a great place to continue the evening! The couple with the wedding cake and a very lovely decorated guestbook.